The 2018 GLY Fall Golf Event was held at Armitage Golf Club on Saturday September 22nd. There was a great turn out for the event, the highlight of the afternoon was the presentation of a $50,000 check to the PENN STATE Hershey Cancer Insitute. 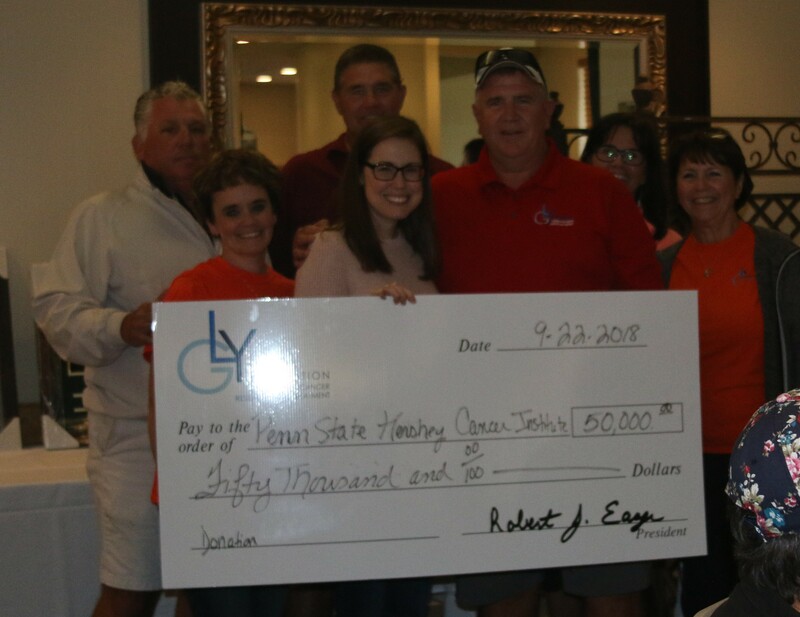 GLY CEO/Founder Bob Eager presented the check at the reception of golfers in the afternoon. GLY would also like to thank all the volunteers who helped to keep the event running smoothly. Plus, supporting all the golfers who came out to raise money for the research and treatment of all cancers in Central PA.